-For an ATF drain and fill, does it take 3.1 quarts or exactly 3 quarts? -Driver side rear door lock doesn't work with remote or from the main master lock switch on the driver side, what could it be? I ensured child lock isn't engaged. Is that actuator, if so, can that be replaced with the one from a junkyard or newer would be better? 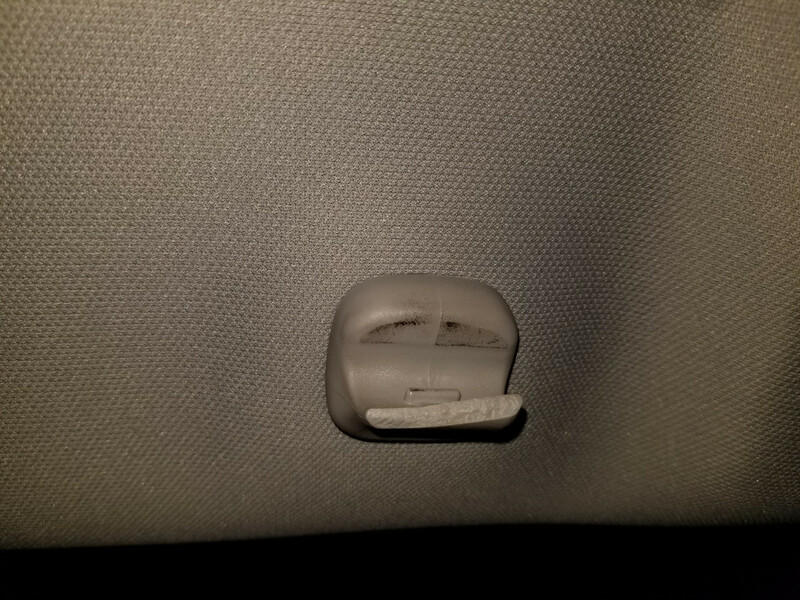 - Driver side sun visor clip tab is broken, can that alone be easily replaced? If so, can old one be just pushed out or there's a procedure for it? Also, storage compartment lid has a tear and I want to see if I can replace ONLY the lid, with the one from junkyard, again is it easily swap-able? Last edited by faran; 02-23-2019 at 06:31 PM. Sun visor clip just get one from the junk yard. They pull out. For the door it is more than likely the actuator. It is up to you if you buy new or not. Both ways will get it to work. Trans fluid drain and fill you will want to get 9 quarts of fluid and do the 3x3. Drain then put 3 quarts in and take it for a drive and repeat until the final fill. Make sure you get Honda ATF DW-1. Thanks, so just push down using a plastic pry tool or a small screw driver and it'll pop right out? I think it's actuator too, is there a way I can confirm using multimeter? I couldn't see it on Rock auto, or maybe I was looking at the wrong place. Yes, already have Honda/Acura ATF on hand. You can test to make sure it's getting power to the plug. Last edited by Seanjordan20; 02-23-2019 at 08:53 PM. Thanks Seanjordan20 , appreciate the help. It's interesting dealer part is cheaper than Rock Auto. 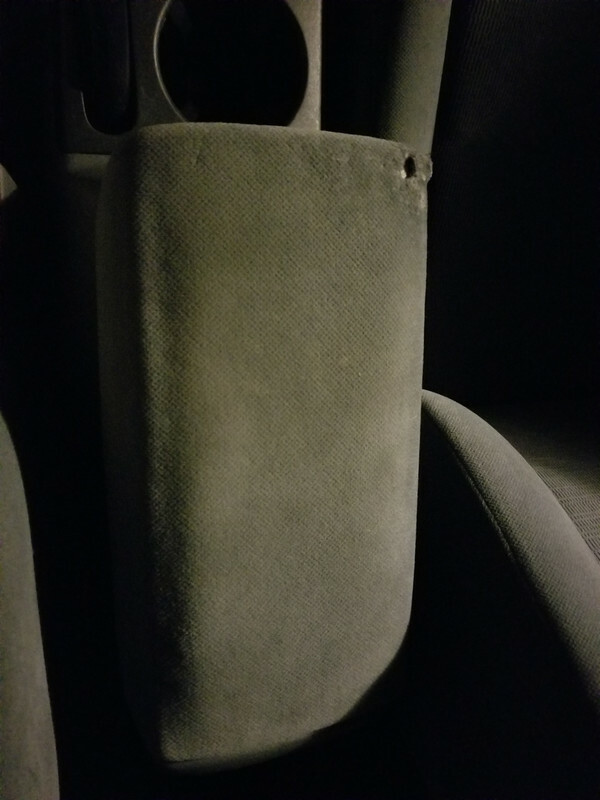 By any chance, would you have any advise to repair that small hole in upholstery? Last edited by faran; 02-24-2019 at 06:14 PM. You can buy one from the junkyard or order the pre-made online (replace it yourself and take it to an upholstery shop). It's up to you. Can anyone please confirm the that this part would work too for actuator?